The agreement is part of a series of deals between Samsung's Display unit and Corning. The latter is taking full control of the Samsung Corning Precision Materials joint venture in a deal that's currently valued at US$1.9 billion. Samsung is also investing another $400 million in Corning. Samsung believes that Corning's technologies will become increasingly important to the consumer electronics industry and it wanted ensure access to those, Corning CEO Wendell Weeks, said during a conference call regarding the deals. 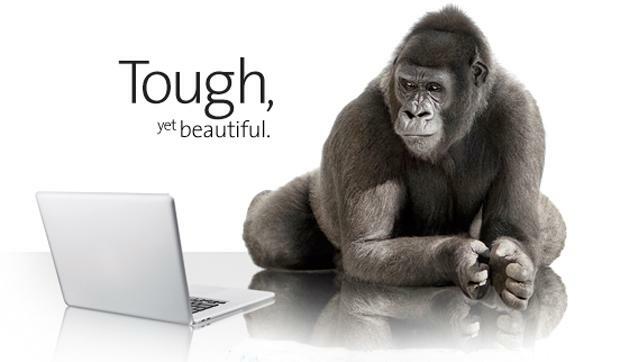 Gorilla Glass is used to protect smartphone, tablet and laptop displays from scratches. But the company is also working on a number of other announced and unannounced technologies that prompted Samsung to strengthen product and technology collaborations between the two companies, according to Weeks. The first group of projects includes a surface treatment Corning is working on that will increase screen visibility in sunlight and make screens both easier to clean and more resistant to fingerprints. The company is also working on another surface treatment that will decrease the buildup of germs on smartphone screens. The plan is to add both to the Gorilla Glass offering, according to a spokesman. The company hasn't announced when the anti-reflective easy-clean surface treatment will become available, but is hoping to commercialize the antimicrobial treatment this year, he said. The company's product development department is also working on Willow, a new glass type that's thin enough to be flexible. It too lacks a date for when commercial products will become available. The first deal between the two companies in which Corning is taking over, Samsung Corning Precision Materials, could prove to be a boon for consumers. The products manufactured by the company were limited to the Korean market, but that will change when Corning takes over. It will give the company a new low-cost option to manufacture its products for the worldwide market, according to Weeks.